You can park anywhere in the Circle Tower Complex till Midnight. Jaipur is located near Vienna Metro Station; about a 10 minute walk. Please call us at 703-766-1111 if you require additional directions. Jaipur Caterings specializes in combining the most exciting and flavorful food with an unmatched eye for detail of our staff - a mix guaranteed to create a fun-filled and tasty gathering. We have hosted many memorable events over the past 11 years in various venues. Give us a call anytime at 703-766-1111 or email us at info@jaipurcuisine.com. Let us plan your next special occasion. What we like most is seeing a group of people enjoying their time together! Welcome to Jaipur, a Royal Indian Cuisine. Known as the Pink City, Jaipur is one of the jewels of Rajasthan, a northern Indian province west of New Delhi. The cuisine we present is rooted in the rich heritage of India it is a combination of subtle tastes where the flavors are as varied as India’s climate and as exotic as India's people. Fragrant, pungent and warm spices from all over India are delicately blended to create the dishes. The blending and preparation of spices is a centuries-old craft and indispensable to Indian cuisine. The decor includes rows of beads adorned with brilliantly colored birds and a contingent of elaborately dressed puppets, stunning paintings by Indian Artists and the interior design in accordance with the principles of Rajisthans Royal Palace. Our Dishes are authentically prepared in our restaurant, just as we would in our own home. Enjoy our hospitality, and consider our home yours! Paneer Tikka - "An Exotic Kebab Of Indian Cottage Cheese"
Baigan Bharta "A Must For Lover's Of Indian Vegetables"
Kadhai Choley "Most Versatile Delicacy In The Northern India"
Murgh Biryani "A Chicken And Rice Royal Dish"
Badami Kheer -" The Traditional Rice Pudding"
Excellent meal! We will be going back soon. This place is better than the #1 (on trip advisor) Indian restaurant in DC. Great food, great atmoshpere, really nice indian cousine. I really enjoyed my meal here. The staff were friendly and attentive without being over-bearing. The food was really good, full of flavour, well cooked and presented. I would definitely come again. 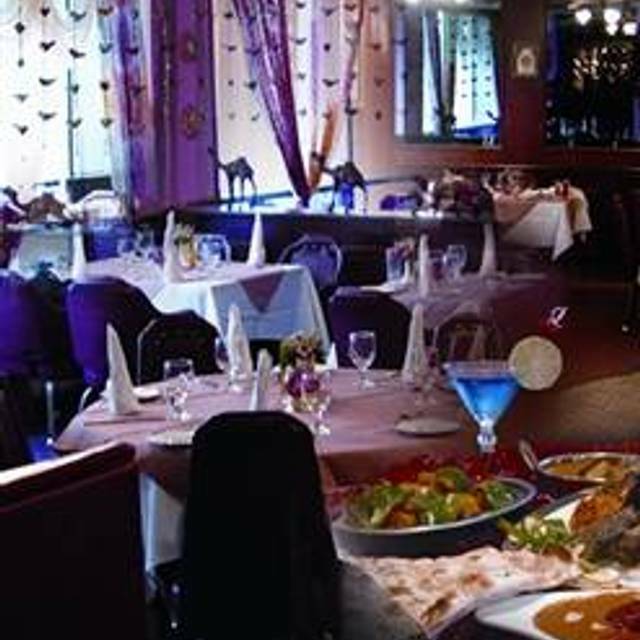 There are many Indian restaurants in northern Virginia and we have been to many of them. We consider Jaipur the best and our experience this past week did nothing to change our mind. Service is friendly and punctual, the ambience is excellent and you can converse easily even if Jaipur has a crowd. Finally, the food is superb and is the closest in terms of taste to the Indian cuisine we experienced while in India. Our only minor complaint is that the Jaipur’s chefs are reserved in the way they add spice to their dishes. We like a bit more spice. But we’ll be back many more times. Always a great place to dine. Food is outstanding. Go early for dinner. It gets busy. Waiters are very pleasant and helpful. Good atmosphere. Great dinner for a reasonable price. Always great foodcand great service here! Excellent variety of chicken, lamb, and vegetarian dishes, which can be adjusted to your preferences for spiciness. On weekend nights, reservations are a good idea. Service is quick and friendly, portions are large enough to share and even have leftovers. We paid $240 (including tip) for dinner for 6 people, which included a drink or two for each person and an extra order of butter chicken to go. We usually go to Jaipur for buffet. The variety of choices ensures everyone finds something they like. This is the first time in a few months that we went for dinner. The menu has a greater variety of choices in comparison to other restaurants and the food was fabulous. This is a great place for authentic Indian food. The service standard are also very good and the food itself is delicious. True to it's name, the ambience reminds one of India's pink city Jaipur. Great place for special occasions as well as regular dining alike. Food was not piping hot as it should be for Indian food; I had to send my dish back to be re-heated. After the dinner, my clothes were stinking of spices. Obviously there is a problem with the kitchen airflow not being separate. Now I have get my jacket and clothes to be sent for dry cleaning. This should not happen and I am not happy. Having eaten at better Indian restaurants across the US, we were blown away by the quality and variety of cuisine at Royal Jaipur. Presentation and service were superb. For aficionados of subcontinent cuisine, Royal Jaipur is terrific and well-worth the drive. Very good service and the food was excellent. We had a very relaxing dinner and we were not rushed to give up our table. We were at restaurant for over 2 hours. Fabulous food and thoughtful service as usual. We have dined there a number of times over the years. It has never disappointed us. This place has been around for years and it never disappoints. The Lamb Chops and Biryani are great. No matter if they cook Lamb, Chicken or Shrimp, they do wonders. I highly recommend this place and it is very relaxing. We've been coming here for years. Service is warm and friendly, and the food is wonderful. like special guests, remember our name and 'special' table, and even what our 'usual' foods and drinks are. Never fails to please. We have dined at Jaipur many times and it never fails to please. The food, service and ambiance are great. We plan to return soon. The menu will not break the bank which is a plus. Didn’t know this place existed, and was very pleasantly surprised. The people and the decor were wonderful and interesting, and the food was exactly what we were craving. Thank you! No real flavor this time on the food. We will still return but I believe feedback like this will help to make this place better and not inconsistent. The delicious Indian cuisine at Jaipur is hard to beat. Our appetizer samosas and lamb and salmon curries were delicious. Our vegetarian friend also enjoyed the “nine gems” vegetable medley. We look forward to returning soon. Always a great tasting meal enhanced by top notch service and a sense that everyone is truly pleased you chose to dine with them that night. Love this place! We enjoyed food too much. Shrimp mango appetizer is my favorite. Great place to celebrate a birthday on a weeknight; the food was great and the service was fantastic—attentive but both servers went out of their way not to interrupt our conversation. And the restaurant was quiet enough that we could actually HAVE a conversation! A splendid experience, we’ll definitely return. Our future sister-in-law is a vegetarian who loves Indian food. She was dying to take us out and order our meal for us, so we met at Jaipur. This was awesome because we tried a few dishes that we'd never tasted before, including the Paneer Tikka and the Shrimp Biryani. Both cuisine and service were amazing as always and we had so much fun! Jaipur is our favorite restaurant, and we go there often. The food, the service, and the ambiance, all make for a lovely experience. We've brought family and friends, and everyone has remarked how much they enjoyed everything about it. If you're a repeat customer, they remember what you enjoyed last time, and even where you sat. The staff aim to please in every way possible, and it's a pleasure to be their guest. We couldn't recommend Jaipur more highly. Always great food and service! Love this place! The best Indian food in the area. As always impeccable service. Excellent food, tasty and well-flavored. Generous portions. Very friendly service. Highly recommend. All six people in our party thoroughly enjoyed their meal. Service was very good as was the ambiance. We have dined here many times and have never been disappointed. We plan to return soon. Lovely meal and fantastic service. Very good experience overall! Very Good food. Good atmosphere. Good service. The birthday dessert was amazing. I believe our friend whose bday we were celebrating was pleasantly surprised! Great food. Really accommodating. The menu had a wide variety.